Well, it is nearly November so it's Lying Time! It's time to sell lies, get them into the press. Hurry! Hurry! Hurry! 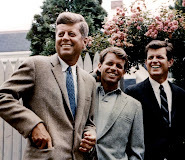 First up this year is the Secret Service group memoir, "The Kennedy Detail." 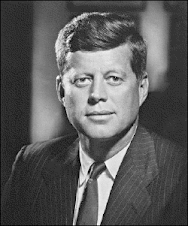 "Four days before the fateful 1963 motorcade in Dallas when John F. Kennedy was fatally shot in the head, the young president had requested that his secret service agents give him some space. Firm Command? They're lying. This has been debunked, and debunked, and debunked, but like trying to get the truth about the First Amendment into Christine O'Donnell's head they never comprehend that they've got it all wrong. 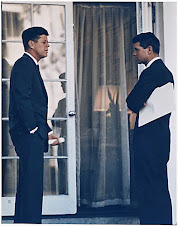 Vince Palamara who has been the leading researcher into the Secret Service details how JFK never ordered anyone off the back of the car. And that William Manchester never interviewed Secret Service Agent Floyd Boring, but still manages to quote him anyway as the source for why there were no agents on the back of the limo when the shots rang out. Another term for just making stuff up is LYING! Agents go on Record The mainstream media goes to a lie in William Manchester's book that JFK. One of the earliest and arguably most influential (to this day) misrepresentation of JFK's relationship to the Secret Service, and in particular to agents on his various details, can be found in "Death of a President," by William Manchester. One passage in particular exemplifies the lengths to which "respected" historians such as Manchester have gone, knowingly or otherwise, to falsify the record. When asked to comment on the record about that portion of "Death of a President," Boring said that the statement attributed to him by Manchester is, to say the least, inaccurate. "He quotes me?" Boring asked incredulously. "I never told him (that JFK ordered agents off the limousine). 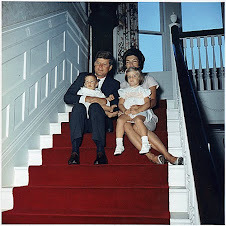 (JFK) was a very nice man, never interfered with us at all." Indeed, Boring stated that he was not interviewed by Manchester-- a fact that is confirmed by the book's source notes. But wait, it gets better. Toby Chandler who was NOT A MEMBER OF "THE KENNEDY DETAIL," compares the assassination to rain. RAIN! Yes, rain, you know the liquid water that drops from the sky, yeah, that stuff, rain. Chandler says, "'Well, you know, it would have been a nice picnic if it didn't rain, but it rained.' And it rained on us. And so we lost a symbol of our country."